It was an ironic start for the new life-affirming Presbyterian congregation. 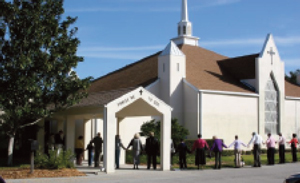 What would become Tuskawilla Presbyterian Church and School sprang to life in worship in a place intimately connected with death: the first Sunday service was held on Nov. 17, 1974 in the old Winter Park Funeral Home on Forsyth Road near Aloma Ave. Sponsored by Winter Park Presbyterian Church, TPC’s charter was granted on May 18, 1975 and listed 82 members lead by organizing pastor William F. Lee. That same year, construction began on the first church building. 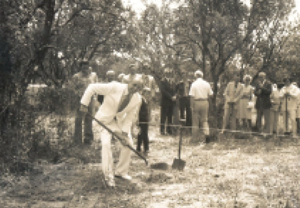 A combination sanctuary-fellowship hall, four classrooms, and two administrative offices took shape in a former citrus grove in 1976. An education wing was added in 1982. 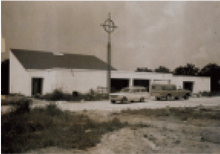 In 1986, the original sanctuary-fellowship hall was expanded to 300 seats, a complete kitchen was added, and a narthex was created from the old kitchen. 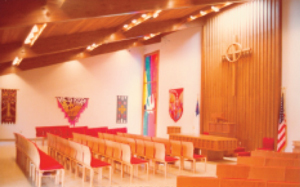 A new sanctuary and administrative wing were completed in 1996. In a process that never ends, today’s congregational leaders are considering options for more renovation and expansion of our facilities. Rev. Bill Lee ended his service as TPC’s founding pastor in 1992 to take on that same role with a forming church in Stephens City, Virginia. Dr. Lewis W. Bullard was called as interim pastor in January 1993 and served until Rev. Dr. Robert W. Barrett was called and took his place in the pulpit on November 1, 1993. In 2003, Rev. Karen Estes was called as associate pastor. In 2006, Rev. Dr. Barrett retired and Rev. H. Davis Haw was called as interim pastor. In 2007, the congregation called Rev. Christopher Chandler as pastor and head of staff. In 2008, Rev. Estes left TPC to move with her family to Texas and Rev. Jack Hawes became a parish associate. In 2014, Rev. 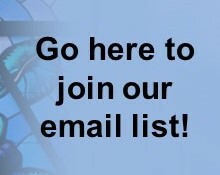 Chandler left TPC to accept a call in Ormond Beach, Dr. Barrett was named Pastor Emeritus, and Rev. Melanie Ruta was called as interim pastor. In 2015, the congregation called Rev. Christopher Kirwan as pastor and head of staff. Rev. Kirwan took his place in the pulpit on Dec. 7, 2015.